If you are looking for a restaurant in Auburn, you might want to check out The Daily Egg. It is located at 844 Lincoln Way, Auburn 95603, and its phone number is (530) 878-5325. Its normal hours of operation are Monday through Sunday from 7:00 am - 3:00 pm. If you are looking for a restaurant in Auburn, you might want to check out Edelweiss House of the Super Omelettes. It is located at 111 Sacramento St in Auburn , and its phone number is (530) 889-8123. Its normal hours of operation are Monday through Friday from 7:00 am - 3:00 pm, and Saturday and Sunday from 6:00 am - 3:00 pm. The News10 Good Morning crew wants to have Breakfast In Your Neighborhood! 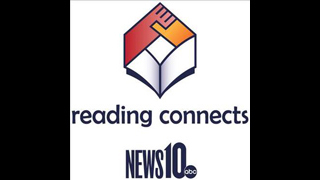 On Friday, November 2, News10 Good Morning will be reporting live from one of four breakfast spots. Each of the four locations were suggested by our Facebook friends in response to the question of which local restaurant serves up the best breakfast in town. Each month, Tres Agaves Roseville welcomes ambassadors from a Tequila distillery to celebrate that Tequila’s unique flavor profile and culture. On Friday, Jan. 21 from 6:00p.m. to 10:00p.m. Tres Agaves Roseville will feature Jose Cuervo Tequilas and provide guests with the opportunity to learn first-hand how to craft Tres Agaves’ signature all-natural margaritas in a margarita making class. To add a new twist, specialty flavored agave nectars and rim salts will also be available for experimentation. Classes last about 30-45 minutes and include education on the history and culture of making Tequila as well as a hands-on demonstration where each guest will make two of their own margaritas to enjoy. Classes will begin on the hour each hour starting at 5:30, 7:00 and 8:30 p.m.
Tres Agaves Passport members are $10 and non-members are $25. Class will include two cocktails plus a sampling of Jose Cuervo’s Reserva de la Familia Extra Anejo.